Simply download the selected paper (and a CPD reflection form for each paper) from the links below, or telephone the Alliance office and your selection will be posted to you. Once completed, return to the Alliance by post or email. Correct completion of each exercise entitles you to 10 CPD points. An administrative fee of £28 per paper must accompany your answers. Return to the Alliance office (The Alliance of Private Sector Practitioners Ltd., Plas Eirias Business Centre, Abergele Road, Colwyn Bay, Conwy, North Wales LL29 8BF, Tel: 01492 534333) for marking. 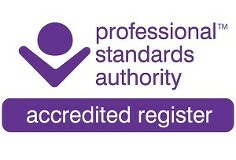 A CPD certificate will be sent out and CPD credits will be recorded against your name. PODIATRISTS: 40 CPD points are mandatory to ensure membership and continuation of insurance cover. FOOT HEALTH PRACTITIONERS: 40 CPD points are mandatory for retention of Accredited Register listing, Alliance membership and continuation of insurance cover. (The points/tariff system allows definition of minimal involvement).